Joan Peters wrote in her book, "From Time Immemorial," that Arab refugees "have been bred to believe that the fraudulent history they learn by rote is true." They have been brought up to believe that their identity can only come true at the cost of the destruction of the Jews. Their dream of their history has been drilled into them wherever they are; in or out of refugee camps; to return to their Palestinian homeland. Jordan has many Palestinians living there. Those taken in have citizenship rights now, but Jordan refuses to take in anymore. Jordan had a Civil war with the Palestinians from September 1970 to July 1971 called "Black September," a fight to see who would have control of the kingdom, for the Palestinians, led by the PLO, demanded control of the whole state. Many feel this is already a Palestinian state. Syrian officials were interviewed in Damascus in June 1977 and said they wanted Americans to help them develop arable Syrian land. They themselves did not have a population to develop the land as they all had jobs then, so they were in need of people and technology. They were even willing to give land to those who would come and work on it. Joan Peters asked them, "Why not give the land to those Palestinian Arabs who would choose to accept your offer? One official answered angrily, " We will give the land to anyone-the Ibos, the Koreans, Americans...anyone who comes---anyone but the Palestinians! We must keep their hatred directed against Israel!" Isn't it ironic? Many of the so called Palestinians actually did come from Syria because when they did, they were looking for jobs and there were none in their own country. The Jews living all the time in "Palestine" were not the builders, but the Jews that returned in the late 1800's from Russia were, and some did employ Arabs to help with building projects. The Ottoman Empire was in power over the land then, but had very few Arabs living on the land. They were getting preferential treatment over the Jews, however. 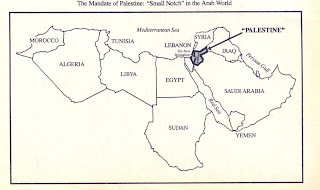 Levin's book tells about Palestine from the turn of the century around the 1880's to the Balfour Declaration, written November 2, 1917, covering about a quarter of a century of turbulent events. It said, "His Majesty's government view with favour the establishment in Palestine of a national home for the Jewish people, and will use their best endeavours to facilitate the achievement of this object, it being clearly understood that nothing shall be done which may prejudice the civil and religious rights of existing non-Jewish communities in Palestine, or the rights and political status enjoyed by Jews in any other country." Of course, the British themselves were the ones who screwed up the whole deal by practicing favoritism for the Arabs and rejected the Jews. They had also made promises to the Arabs at the same time to establish their kingdom and turn a Sheik into a king. By doing this they did everything against the Jews to achieve the goal of establishing a national home. The first Jewish pioneers that came had many hardships to endure, comparable to our American pioneers' living. They had to deal with the Turkish overlords, the relationship between neighboring Jews and Arabs where the wars of the present were foreordained in blood feuds and hatreds of an earlier generation. The First World War and the Russian Revolution caused great upheavals. This all helped to create a Jewish fighting force. The novel's main characters are the Chaimovitch family who had fled Czarist Russia's pogroms who came to their motherland which turned out to be rocky, parched arid land ruled by the cruel Turks and dominated by hostile Arab villagers, disease infested but yet, their Jewish land. Joan Peters was studying the original documents about Palestine which were a part of Winston Churchill's papers and came across a dynamite statement. It was the claim that Jewish settlement in Palestine had caused the uprooting of hundreds of thousands of Arabs, something they are using today to claim their "right of return." 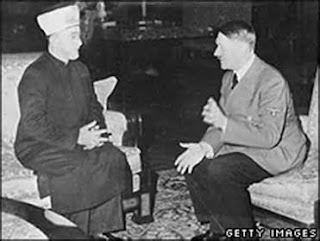 Churchill said in 1939, when Hitler was closing the door on doomed Jews in Germany trying to get out, and plotting their massacres with the 2nd most powerful Arab, Sayyid Amin al-Husseini, also known as the Grand Mufti of Jerusalem, "So far from being persecuted, the Arabs have crowded into the country and multiplied till their population has increased more than even all world Jewry could lift up the Jewish population." Because of real people who developed the land from neglect that had become a wasteland made up of sand, rocks and mosquito-infested swamps, we have a beautiful state of Israel today. The land has returned to it's natural life-fulfilling state from all this hard work, but the Arabs are clinging to their dreamed up imagined history. They are clamoring for all of Jerusalem right now. Tomorrow it is all of Israel as their charters call for as written in Hamas and the Muslim Brotherhood. Arabs like to spread the false information that Ashkenazi Jews are not real Jews. They keep the fallacy going that only the Jews of the Levant were from the 12 tribes of Jacob. They should develop the habit of reading more about our history. Jews, whether they are Ashkenazi (recently from Europe), or Sephardi (recently from Spain and Portugal) or Mizrachi (from Egypt and that area), are all from the same group that survived the Roman Empire's attack in 70 CE. Even DNA is proving this. It happens that many Jews were forcefully taken to Rome as slaves, and from there finally were able to break away and went into Germany, and then went northwards into eastern Europe where our Russian Jews fleeing from pogroms finally decided after 2,000 years to return and settle their own land once again. This is one way they keep trying to stoke the hatred against the Jews. 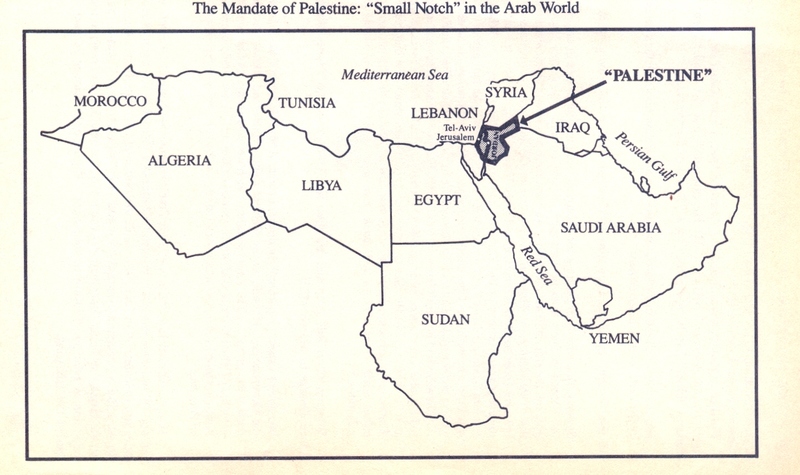 There are 10 Palestinian camps in Syria created from 1948 till 1967 with 3 unofficial ones built from 1955 to 1962. About 112,550 occupants are in Yarmouk built in 1957, located in Damascus, which is the largest. The latest reports are that on a Sunday in July Syria gassed people in the camp by bombing it with chemical weapons. 22 were reported dead. It is still home today to over 100,000 Palestinians. Syria would rather keep them in camps on the UN dole than have them work and own land.